So, this time I went to road trip with my parents to Rishikesh, Chopta and finally Badrinath. 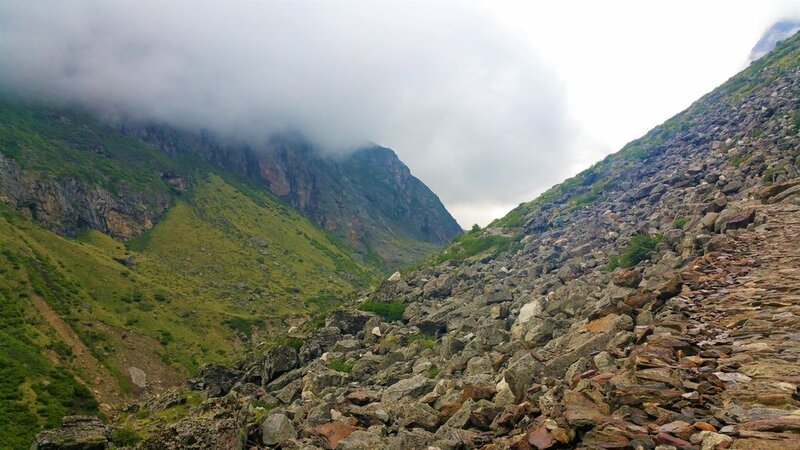 While for me Chopta was nothing less than a dreamy village but there is nothing compared to the beauty of Badrinath. It feels like you are standing in middle of that scenery we used to draw as kids. One river, few huts, a waterfall, mountains, clouds and birds of course. Badrinath is a popular religious town located in Chamoli district of Uttrakhand. It is most important out of all 'Char Dhams' of India and is surrounded by mighty Nar and Narayan ranges. Also, 4 km from Badrinath is the last village of India, Mana. Badrinath's average elevation - 3,133mts above sea level on banks of Alaknanda river. BY AIR: Jolly grant airport is the nearest airport situated at 314km. You can either hire a taxi directly or take a bus from there. BY TRAIN: Nearest railway station is Rishikesh which is situated at 295km. You can get a bus from there to any nearest place to Badrinath. BY ROAD: You can get many buses till Chamoli, Srinagar, Ukhimath, or Rudraprayag from where you can find direct bus till Badrinath. The best season to visit Badrinath is in between May to June and September to October months. The climate remains pleasant during these months. We are lucky to have a membership of Youth Hostel so finding a room wasn't a task for us as we booked our room in advance in Hostel. It's a nice, comfortable place to stay in Badrinath. 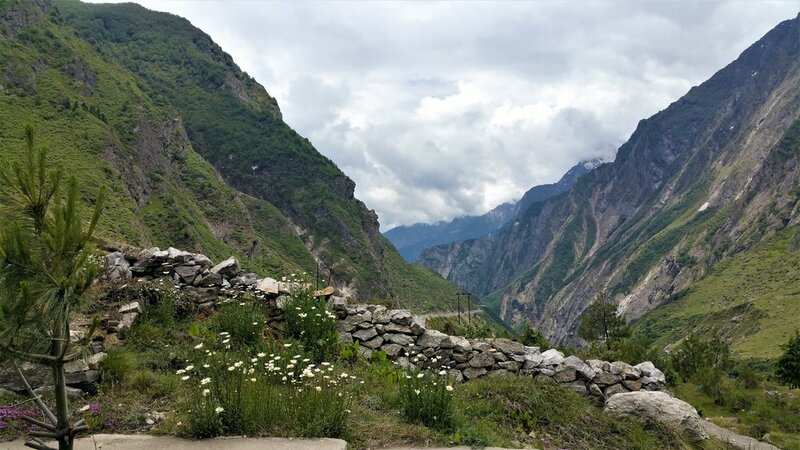 Badrinath has ample accommodations to stay, from the economical dharamshalas to affordable guesthouses to 3-star hotels, it is easy to find a place to stay in Badrinath if you are traveling in the off-season. As thousands of devotees ascent to the Badrinath shrine during the peak season, even finding a bed could be a task, let alone a room to stay. 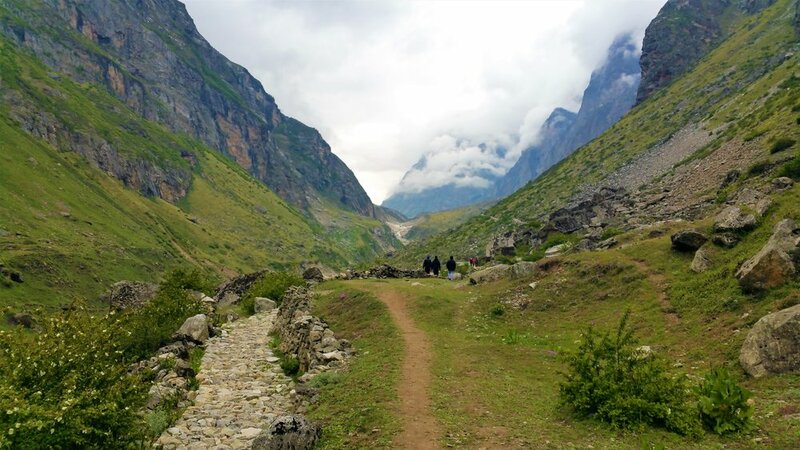 If you cannot find a place in Badrinath you can book an accommodation at Joshimath which is 45 km from Badrinath and you can make a day trip to Badrinath and return to Joshimath by evening. Read my blog on MANA Village here. This pilgrims paradise provide a sacred being to the visitors that make them feel blessed after visiting this town. River Alaknanda provides people a chance to challenge themselves in the rifts of the river. While you are here, you will dwell into the vibe that you are standing on a land where so many 'rishi-munis' have done prayers for so many years. Thank you for stopping by! You can write to us at travelbugbytesindia@gmail.com if you have any query at all. Or you can just drop a comment below.